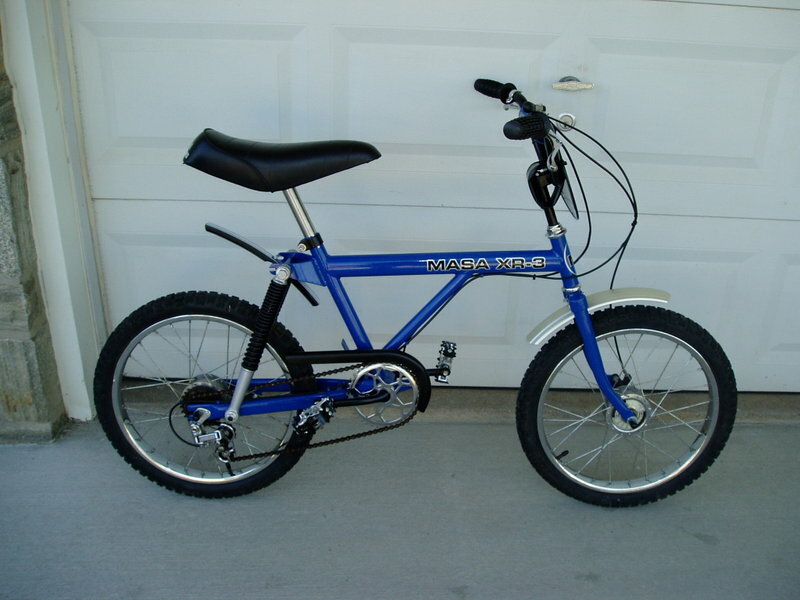 Back in 1978 I had a MASA XR-1, which was a single speed version of this bike, but did not have the drum brakes. 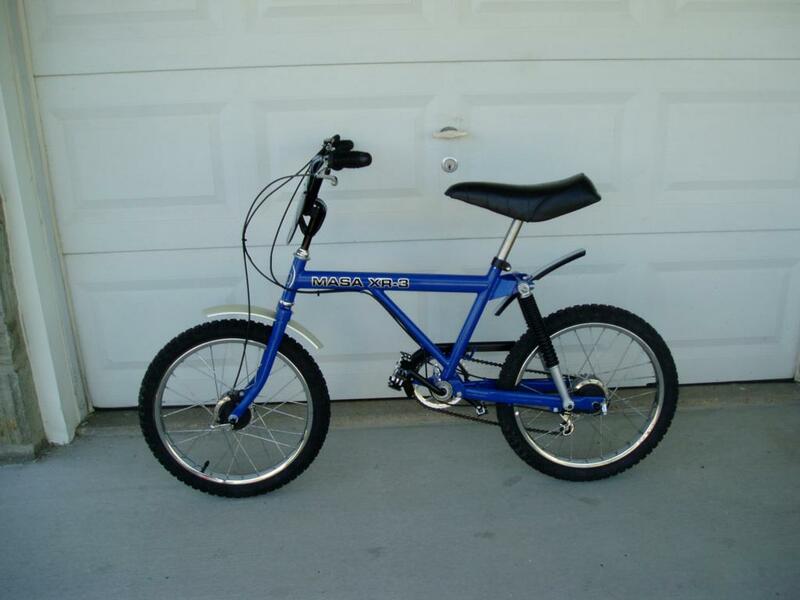 My father bought it for me brand new from the local Honda Motorcycle dealer for $199, and the three speed version was $229, in 1978!!! 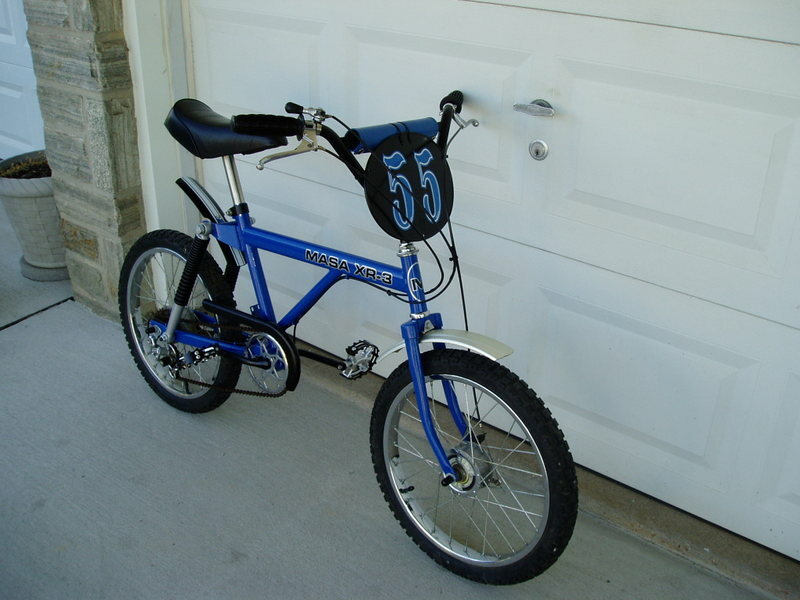 Another kid in the neighborhood had this version, but I never really knew him that well. Since then, I have never seen another one, until I found this relic on Ebay. It was beat up at the time but everything was there. I had a local sign company re-do the decals, and then had the f/f powdercoated in the blue, and the bars/neck combo, chain guard, seat clamp, crank, all done in black powder coat. I re-touched every nut and bolt on the bike and re-assembled it into what you see here. Comments welcome, anybody else ever see one of these? ?